At Chiropractic Life we offer three different types of Massage Therapy – Trigger Point Therapy, Myofascial Release and Deep Tissue Massage. Trigger points were first discovered and mapped by Janet G. Travell (president Kennedy’s physician) and David Simons. Trigger points have been photomicrographed and measured electrically. and in 2007 a paper was presented showing images of Trigger Points using MRI. These points relate to dysfunction in the myoneural junction, also called neuromuscular junction (NMJ), in muscle, and therefore this modality is different from reflexology, acupressure and pressure point massage. Myofascial release refers to the manual massage technique for stretching the fascia and releasing bonds between fascia, integument, and muscles with the goal of eliminating pain, increasing range of motion and equilibrioception. Myofascial release usually involves applying shear compression or tension in various directions, or by skin rolling. The term “deep tissue” is often misused to identify a massage that is performed with sustained deep pressure. Deep tissue massage is a separate category of massage therapy, used to treat particular muscular-skeletal disorders and complaints and employs a dedicated set of techniques and strokes to achieve a measure of relief. It should not be confused with “deep pressure” massage, which is one that is performed with sustained strong, occasionally intense pressure throughout an entire full-body session, and that is not performed to address a specific complaint. Deep tissue massage is applied to both the superficial and deep layers of muscles, fascia, and other structures. The sessions are often quite intense as a result of the deliberate, focused work. 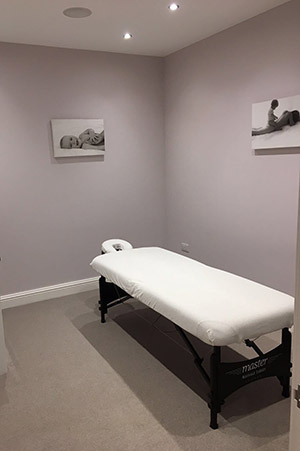 When a client asks for a massage and uses the term “deep tissue”, more often than not he or she is seeking to receive a full-body session with sustained deep pressure throughout. If a practitioner employs deep tissue techniques on the entire body in one session, it would be next to impossible to perform; it might lead to injury or localized muscle and nerve trauma, thereby rendering the session counterproductive. Will Massage Oil Be Used? A light oil or lotion will be used to reduce excessive friction to the skin and allow smoother, deeper strokes. The lotions used also help to hydrate the skin. If you are allergic to certain oils or scents, just tell the therapist.